Bora-Care is the registered trademark of a pesticide containing borate mineral salt which is used to treat infestations of termites. Borate mineral salts have been used to kill termites in Australia and New Zealand for more than 10 years. Bora-Care is registered for use by the Environmental Protection Agency and is approved for treating termites by the Department of Housing and Urban Development. 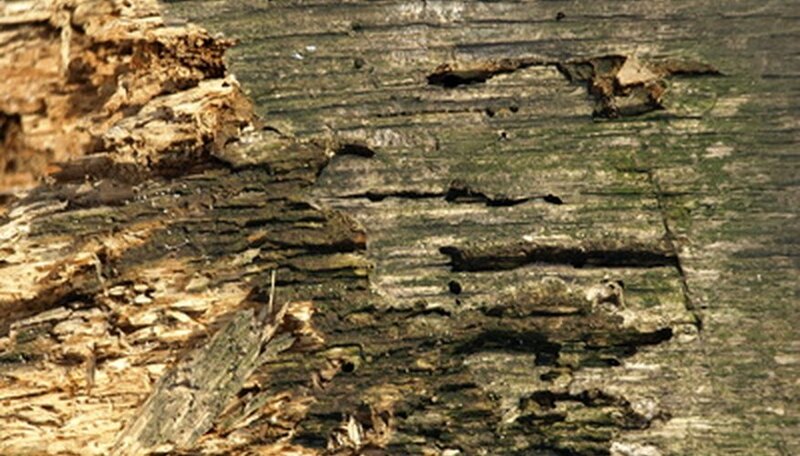 It is intended to replace highly toxic creosote and chlordane used to preserve wood and kill termites. Direct contact with Bora-Care can cause eye irritation including redness and tearing. Prolonged or repeated exposure to Bora-Care may cause the skin to soften. Breathing vapors from Bora-Care in high concentrations may cause dizziness, drowsiness or nausea. Gloves that resist solvents should be worn when applying Bora-Care. It should be used in places with fresh air and exhaust ventilation. Goggles or safety glasses should be used to keep Bora-Care out of the eyes. Fresh water should be available in case the skin becomes irritated from contact. If a large amount of Bora-care is ingested, the victim should be treated for borate toxicity. A drowsy or unconscious victim should be placed on his or her left side, head down. A physician or poison center should induce vomiting in a conscious patient with 1 to 2 tablespoons of syrup of ipecac. In lieu of syrup of ipecac, vomiting should be induced by gently placing two fingers in the back of the victim's throat. If contaminated skin becomes irritated or red, it should be washed thoroughly with mild soap and water. If the nose or throat becomes irritated from breathing Bora-Care, the victim should find fresh air. Medical attention should be sought if the irritation persists; if the victim ceases breathing, artificial respiration should be given. None of the major ingredients in Bora-Care have been identified as causing cancer by the International Agency for Research on Cancer or the Occupational Safety and Health Administration. Bora-Care spilled on plants, shrubs and trees may retard their growth or kill them. Plants and soil around plants should be covered with plastic to avoid contamination.